Top 20 Restaurants in Cape Town 2017. These days, Cape Town is well-known for being a foodie mecca – but there are always going to be new or even lasting restaurant winners, which consistently bring good service, great food and a pleasant eat-out experience to the table. Over the space of a few years, Top chef Franck Dangereux has worked wonders over at The Foodbarn. Serving French-inspired dishes, the restaurant offers excellent fine dining and superb food in a restored old barn. At night, the deli turns into a tapas bar but either way, expect excellent food. Also, on Wednesday evenings, The Foodbarn offers a Pop Up Kitchen at the Community Market in Farm Village. Opened less than a year ago, Raya Kitchen already has been garnering rave reviews, as it serves its fine Asian cuisine. Food favourites include: prawn har gau, traditional Thai curries and phad Thai. Raya Kitchen also has good cocktails and wine to enjoy, and often runs value-for-money specials. This popular modern Spanish tapas restaurant and bar already had two existing branches, in both Bree Street (the original) and Constantia Nek respectively. Recently, however, they opened a third on the glamourous Camps Bay Strip and it’s already ultra-popular. La Parada Del Mar offers stunning views, of both Camps Bay and the Atlantic Ocean – and now, all three restaurants are open for breakfast, as well as lunch and dinner. A few days after its initial opening at Leinster Hall – a 106-year-old building – in 2015, The Stack fell victim to a terrible blaze, which gutted the place and devastated its owners. Now though… The Stack is back! This trendy restaurant and club provides a bistro menu, with wonderful delicacies, like luxurious French onion soup or crème brulee. Complete with fine dining and amazing views across the Atlantic, Azure’s setting never fails to make a great impression upon its visitors, yet it is the seafood, which takes the centre stage here. Enjoy the best local and international cuisines, made by executive chef Christo Pretorius, as you dine in style. Favourites include: classic prawn cocktail or fresh line fish, though you will also find grills, poultry/game and even a Cape Malay curry on Azure’s menu. Dress code is semi-formal, and booking is advised. Since Takumi’s closing, sushi legend Papa San has teamed up with chef Ben Bettendorf to bring Capetonians this urban Asian eatery, which specialises in sushi, tempura and ramen. At Obi restaurant, guests can enjoy delicacies like shoyu ramen, an extensive sushi range and even great tempura options too. 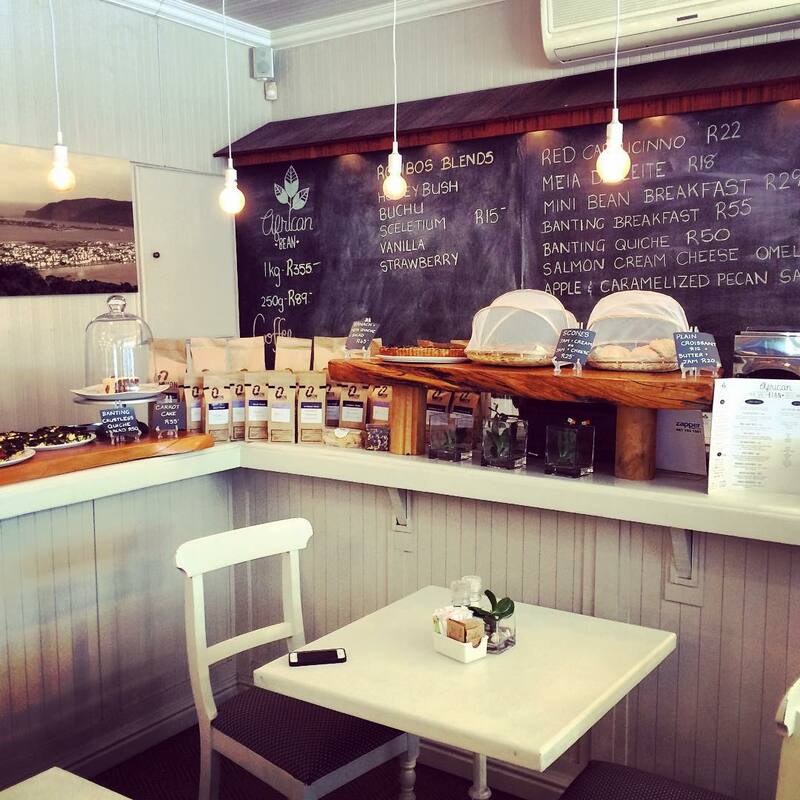 With a lovely, considerate menu – which caters to the tastes and diets of all – The Woodlands Eatery is a rare find. They are famed for their pizzas, which come with a choice of interesting toppings and even include the option of a cauliflower base. There is also seafood and other top meals to enjoy here. This popular Peruvian-Japanese (or ‘Nikkei cuisine’) restaurant offers a fusion of cultures, as well as great contemporary street food. Tuck into ceviche or hot, kebab-style-cooked meats, cooked over coals… just know that whatever your pick, you’re in for a treat at this Bree Street eatery. At Kyoto, expect delicacy, subtleness and enduring Japanese cuisines and flavours, brought to you by owner Scott Wood’s stellar Kyoto team. This Japanese food shrine offers sushi, sashimi, seafood and more. There’s a wonderful sushi bar to enjoy as is only fitting – but leave space for dessert to enjoy something naughty but nice, like cherry blossom ice cream or perhaps a tempting cocktail too. A regular feature on ‘Best burger’ lists in Cape Town, the American-inspired diner (with a contemporary twist) that is Hudsons gives guests well-made burgers, finished off with inventive toppings. Each burger tells its own story, and everything from the names to the ingredients have been carefully chosen by owners, Ross and David. Now, with branches in Green Point and Claremont – as well as the original Kloof Street establishment – Hudsons is more far-reaching than ever before. Chef-owner Cheyne Morrisby offers creative combos, artful plating and delicious, strongly South Pacific cuisine, prepared using firmly Asian cooking methods. Thanks to his culinary talents, Cheyne’s has become a real Hout Bay institution, though he hasn’t stopped there, for now Lucky Bao and the new Shio are also under his capable guidance. Reflecting French and South African cuisines both, with a delightful Argentinian twist too, Manna Epicure is the epitome of fine dining in Cape Town. With an emphasis on hospitality, styling and, of course, excellent food, Manna is like a tender Heavenly mercy sent down to food lovers. Royale Eatery really does make burgers fit for royalty… With over 50 burgers (and counting…) to choose from, this is a go-to burger spot in Mother City and is also one of its top eateries. They offer vegetarian and vegan options, if you’re not a meat-eater, whereas as a side with your gourmet burger, enjoy a choice between fries, sweet potato chips or salad! At Gold – an African restaurant in the heart of the Mother City – expect an extensive menu, which offers tastes and styles from northern Africa to the Cape. Whether you like your food hot and spicy or soft and gentle (like Tanzanian mango-and-lime chicken), Gold has something for everyone. What’s more, your unique culinary experience is complemented by live, interactive traditional entertainment. In 2008, Active Sushi was born for the owner’s sushi addiction. Now, the focus is on providing customers with top notch sushi at reasonable prices. Active Sushi is so much more than a dining experience though… it’s a sushi extravaganza, and their vision is to make sushi more enjoyable for and easily accessible to all. This neighbourhood local and lovely bistro is something of a home away from home for locals and foreigners alike. Dine here with family and friends and enjoy creating lasting memories over good food. Started up in time for the 2010 FIFA World Cup, San Julian is now a popular spot, which serves unpretentious, authentic Mexican food. This Mexican restaurant also claims to be the only Mexican restaurant in SA actually run by a Mexican family… and they know their stuff! Situated in the heart of Sea Point, this popular bistro offers great variety, which includes meals like: charred queen prawns or caramelised pear and gorgonzola salad. With comfy seating for up to 120 guests, here at NV-80 Grill & Bar, you really can have a ball, as you sip on sundowners or tuck into a great meal with those you love. At hemelhuijs, quality is of the utmost importance, as far as chef-owner Jacques Erasmus is concerned. This ever-changing space, in the heart of the Mother City, is something of an oasis for visitors. Enjoy freshly squeezed juices, delicious cocktails or blended coffees from their small but seasonal menu or a lovely, light meal in between work or play. This restaurant, tattoo parlour/barber and bar in one is a truly unique experience. Opened in 2016, it’s relatively new to the city’s food scene but already it’s been making (inked) food waves. Dig into hearty portions, like 16-hour-roasted brisket sandwich, a steak roll or even fish and chips, from a menu that is all about good, seasonal local produce and focussed entirely on good food. These are just some of the many restaurants in Cape Town consistently churning out good reviews, service and above all, food. During 2017, make sure you eat your way through them, for some fun variety and food satisfaction in the Mother City. Author LaurenPosted on February 17, 2017 Categories The best of South AfricaTags active sushi, azure, Cape Town, cuisine, dining, hemelhuis, restaurants, royale, South Africa, western cape, woodlands easternLeave a comment on Top 20 Restaurants in Cape Town 2017. Top 20 Restaurants in Knysna 2017. Whether you’re there on a peaceful break or passing through on a cross-country road trip, this beautiful Garden Route town’s eateries will make a memorable impression. Run by Cordon Bleu chef Peter and manager Viv Vadas, Pembreys offers guests an adventurous, well-balanced menu. It offers tasty meals, inspired by travels to Italy, like authentic pasta dishes and Mediterranean-style salads. The restaurant-bistro possesses warm, country charm. So much more than a café or coffee shop, East Head Café is something of a landmark. Situated on the famous Eastern Head’s rock, it offers wonderful views of the Knysna estuary and Indian Ocean. Responsibly, the restaurant supports local suppliers and offers guests lovely seafood cuisine, including fish and chips and Cape Malay seafood curry. In 2015, this popular local institution fell victim to a terrible fire. However, it re-opened recently, after chef-owner Liezie Mulder and master baker and chocolatier, Markus Farbinger transformed into a beautiful, light space. The renewed restaurant/bakery is back with everything it was loved for previously: tasty meals, fresh artisanal breads and amazing pastries. This lovely, casual French country-style restaurant is found on a private reserve, which overlooks the Knysna River. Cathy and Remy’s Die Gieter offers generous portions of pita and dips, baked camembert, duck confit and duck fact potatoes, as well as delectable desserts (like poached pears and cheesecake) equally generously portioned. This restaurant, housed in a lovely farm cottage, is a celebration of authentic ‘slow food’ and vegetables, all prepared in a Defy Jewel woodstove. Brett Garvie’s experience as a botanist helps tremendously, as he forages for mushrooms, picks pecans and sources harvests from local gardens and harvests for his ever-changing menu. It’s advisable to book a table in advance. This Italian restaurant, led by Ellen Owens, has been producing lovely, tasty dishes in the very heart of Knysna for several years now. It transforms from a relaxed eatery during the day to an elegant, romantic space in the evenings. With delicious mains like bobotie, home salads and Cape chicken and prawn curry, it’s sure to wow your taste buds. This unique, seafood restaurant offers a wide variety of lovely seafood dishes on the beach. It’s a perfect spot for a casual meal with those you love. Enjoy favourites like fish and chips and Kingklip or the Wes Kus braai for delicious seafood fare in this outdoor beach restaurant. You can also buy fresh fish and frozen seafood to take home. The Anchorage is a traditional seafood restaurant in the epicentre of Knysna. It has been around for some 20 years now, and is considered one of Knysna’s oldest restaurants. 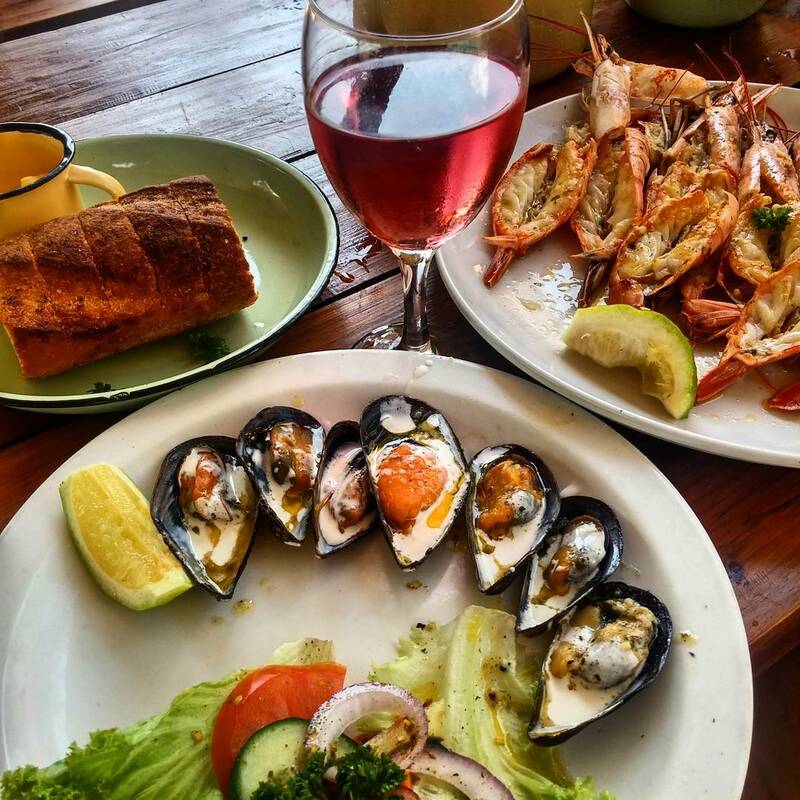 Over the years, owner Brian has offered his guests an unforgettable dining experience, with excellent seafood – like fresh fish, Knysna Oysters, seafood platters – mature Angus beef, vegetarian and chicken too, at this well-rounded eatery. 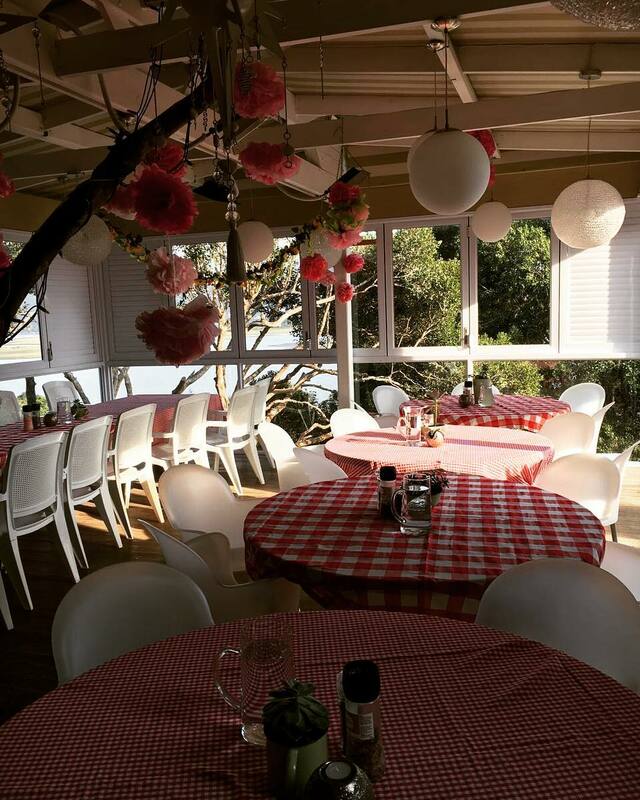 Located at the Knysna Waterfront Quays, Caffe Mario offers lovely Italian in a beautiful, scenic setting. It’s a popular local eatery, for locals and visitors alike. One of its most fun meals is the Super Mario full breakfast. They also offer tasty sandwiches, pastas, seafood, thin-crusted pizzas and wine. This is not your average restaurant, it’s a cookery school, which opens to the public once a week for six months of the year (from beginning November to end April). Here, Albin and Jenny Kilzer combine two passions, cooking and teaching others, and offer cooking courses, as well as cook ‘n look evenings – but they also offer tasty meals at this restaurant if you’re around when it’s open for public eating. This small, owner-run restaurant is vibey and is famous for its made-to-order, thin, crispy pizzas, which are made in their traditional, wood-fired oven. They also offer homemade burgers, pastas, potato bakes, filled paninis, great desserts and takeaways, complemented by beers, wines and spirits. With a mind to bring you the most delicious and lovely looking meals, as they extend a warm welcome, JJ’s is another Knysna Quays-based restaurant. With ingredients sourced from the finest, local produce and freshly pricked herbs from Hoekwil, near Wilderness, you can expect tasty meals, which combine an array of good flavours. 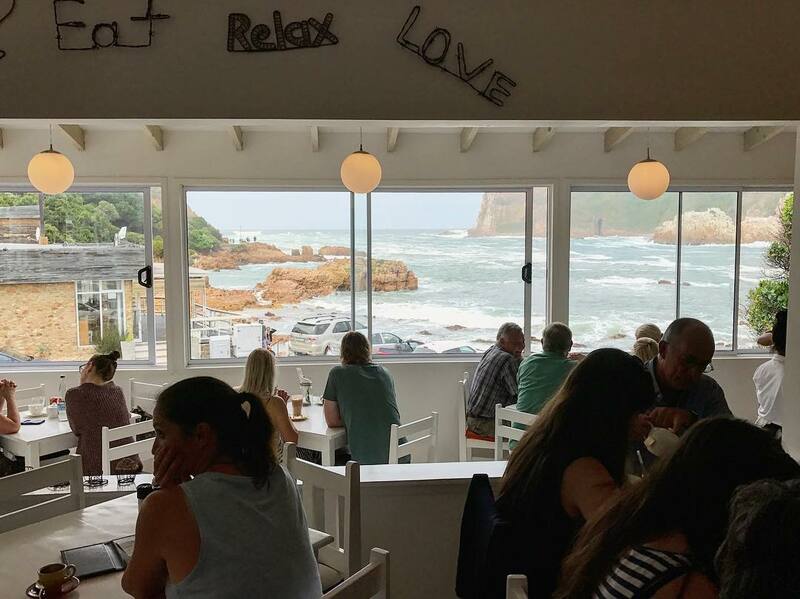 This restaurant/food store, bakery, gift shop, fish monger, clothing emporium and bakery, with a fine wine shop on the side, offers a little something of everything at the appealing Knysna Quays. Here, visitors will find fresh oysters, bread, wine, deli goods and even some sushi too. It’s a good spot for groups and for kids and they also offer take-aways. A favourite among locals, this vibey café was open for twenty-four years before it closed briefly. However, it re-opened in 2014 and is back serving lovely café fare, breakfasts, snacks, lunches and burgers – like the Buffalo burger. It has a tasteful, cosy interior and is a wonderful meeting spot for friends, loved ones and travellers too. This sister restaurant to 34 South and Tapas and Oysters is positioned on the water’s edge at Thesen Harbour Town. Named for the warm Mediterranean wind, Sirocco is a great, vibey lunch and dinner venue, which serves good food in a sophisticated space and is open seven days a week. Aside from their main food menu, they also offer cocktails and beer, sushi and a wine list to enjoy. Found along Rheenendal Ramble, Totties Farm Kitchen offers you a warm welcome and a selection of dishes carefully and freshly made. Totties serves sandwiches, light meals, lunches, milkshakes and delicious desserts too, though it is their Sunday Buffet (R150 per person), which is particularly popular. They also host large functions and weddings. This vibrant restaurant is found on Thesen Island and enjoys perfect views over the Knysna Lagoon and famous Knysna Heads. Known for their friendly, vibey atmosphere, this waterside restaurant offers varied Spanish, Mediterranean and South African tapas. 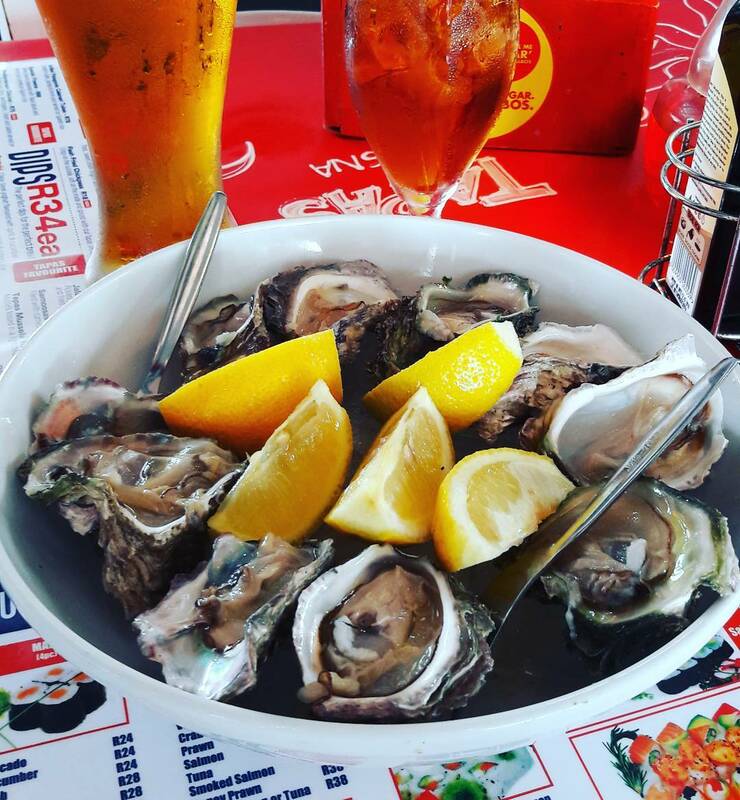 They also offer fresh oysters, seafood, homemade dips and olives, salads, desserts and more, including: sushi, Mitchell’s beer and freshly baked, rocket salt baguettes. This Knysna Waterfront restaurant has been around for twenty-eight years now. Manny and his staff serve Mediterranean-Portuguese food in a warm, friendly space. Included on the menu is fresh fish, steaks, chicken and seafood. O Pescador also has a Rhodesian Teak bar, with an open-plan kitchen. This popular, local steakhouse offers AAA Grade steaks and pork ribs, flame grilled just right, as well as surf & turf, grilled chicken/eisbein, starters, salads and desserts too. They also serve fresh fish from their sister restaurant, Freshline Fisheries. With relaxed indoor and outdoor seating, Rib & Rump is great for meals with friends and family, and bring the kids along too. Housed on-site of the original Belvidere farmhouse, Knysna’s smallest pub offers a wine cellar viewed through a window in the floor. With its yellowwood ceiling and ironwood block floor, The Bell Tavern is a favourite among Belvidere locals. Enjoy pub meals outside during summer or next to a cosy, warm wood-fired stove in winter. They also offer a selection of locally brewed beers, including Mitchells, as well as Cape wines and spirits. So whether it’s some of the famous Knysna oysters you’re after, a little bistro fare or even some sweet pastries, these top restaurants will be able to suit every palate’s needs in 2017. Author LaurenPosted on January 30, 2017 January 30, 2017 Categories The best of South AfricaTags cuisine, dining, Garden Route, Knysna, restaurants, South AfricaLeave a comment on Top 20 Restaurants in Knysna 2017.